Transportation Minister Yisrael Katz says that he intends to extend Jerusalem train line to go all the way to Temple Mount. 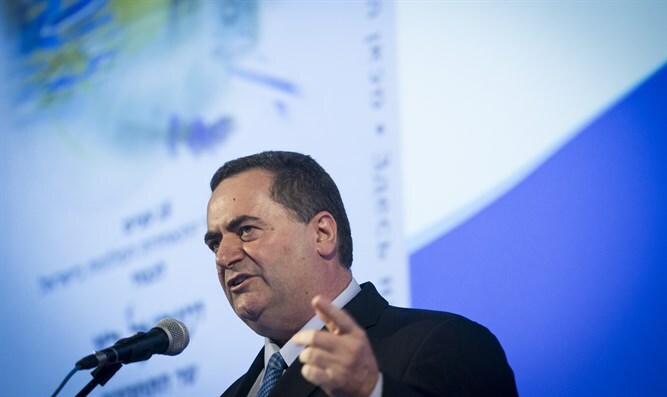 Transportation Minister Yisrael Katz (Likud) said at a pre-Rosh Hashana toast in Or Yehuda Monday that he intends to extend the Tel Aviv-Jerusalem train to reach the Temple Mount. "The high-speed train line between Tel Aviv and Jerusalem will continue from Jerusalem's Central Bus Station to the Western Wall and Temple Mount via underground tunnels" he said. This is not the first time that Katz has talked about his plans to extend the Israel Railways train line to the old city. In the most recent Jerusalem Conference hosted by Arutz Sheva's sister publication Basheva, he said that "in the future we will extend the route to the area of ​​the old city, near the Western Wall, where another underground railway station will be built." "By next Passover, with God's help, we will fulfill Isaiah's vision and embark on a pilgrimage to Jerusalem on the new train." The Jerusalem City Hall is also planning a cable car that would go from Jerusalem's Central Bus Station to the Temple Mount. Scheduled to be finished in 2020, it would also go to the First Station, Mount Zion and the Dung Gate.